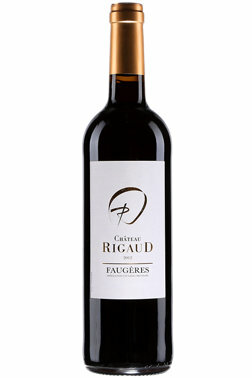 Located east of the Saint-Chinian vineyard and mostly dedicated to red wine production, Château Rigaud is headed by Jean Paux-Rosset (owner of Château la Négly) and consultant oenologist Claude Gros. The cuvee brings together Syrah (aged 12 months in casks), Mourvèdre and Grenache (both aged 12 months in cement vats). The purplish hue reveals notes of smoke joined by ripe black fruits, spices and licorice.